"Nao é possivel iniciar o microsoft Office Outlook. nao é possivel abrir a janela do Outllook"
Microsoft had released Office 2007 Service Pack 2 on April 28. Many users would have already installed Sp2 for Microsoft office 2007. Office 2007 Service Pack 2 is expected to boost performance but it may not the case for you. You may find various issues after installing office 2007 sp2. If you are looking for way to uninstall and remove office 2007 Service pack 2 then here is Office 2007 Service Pack 2 Uninstall tool provided by Microsoft. This is official tool to uninstall and remove Service pack 2. The 2007 Office SP Uninstall Tool is designed to uninstall all the patches associated with Office 2007 SP2. 2. Double Click on office2007spuninstall.exe. Accept the terms and click Continue. 3. 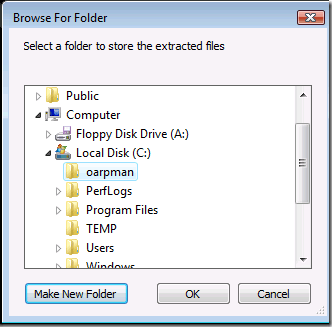 Make a new folder called oarpman at the root of C drive and click OK.
5. OARPMAN needs a release name to start the uninstall. 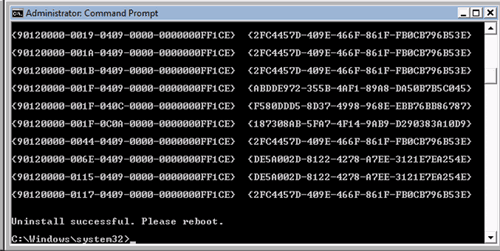 To get it, type the following in your command prompt window: c:\oarpman\oarpman.exe /report and press Enter. 6. 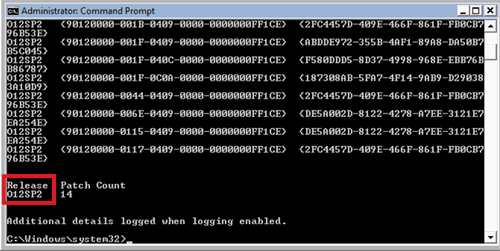 To start the uninstall of SP2 type the following in your command prompt window:c:\oarpman\oarpman.exe /remove O12SP2 (replace O12SP2 with your release name)and press Enter. This process may take some time to complete. That’s it. Service Pack 2 is uninstalled, and Office 2007 is reverted back to a patch state prior to SP2 being installed.